In these lessons, students will be introduced to the world that Shakespeare lived and wrote in. This will help them to build an informed overview of the social and historical contexts important to the dramatic world. Tasks include: exploring how Shakespeare adapted his source material, including developing smaller roles like Mercutio; researching the London of Shakespeare's time; and imaginative writing accounts. Can I research Shakespeare’s life with a particular focus on the 1590s when Romeo and Juliet was written and first performed? Students are shown a timeline of Shakespeare’s life. It divides Shakespeare’s life into: Early Years (1564-1589); Freelance Writer (1589-1594); The Lord Chamberlain’s Man (1594-1603); The King’s Man (1603-1613); Final Years (1613-1616). Students ‘zoom’ in on the portion of Shakespeare’s life when Romeo and Juliet is written and performed and extract some key pieces of information for a Romeo and Juliet in context fact file. They should find information about biographical and historical events, the existence of the Globe and other London theatres, and other works by Shakespeare. What do I know about Shakespeare’s life and times around the time he wrote Romeo and Juliet? How important do I think it is to know about a writer’s life in order to understand and enjoy that writer’s work? What are some of the counter-arguments to this position? Students might be aware of controversies about Shakespeare’s true identity and whether he wrote all of the plays! The film Anonymous and book Contested Will are useful sources about these debates. Can I investigate Shakespeare’s influences and inspiration for Romeo and Juliet? 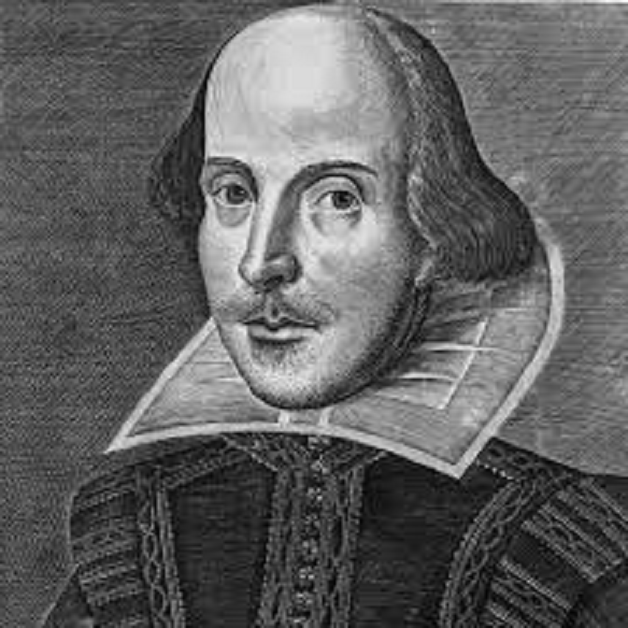 Check students’ understanding of the word genre and of the different genres of Shakespeare’s plays. Explain that Romeo and Juliet is classified as a ‘tragedy’. Ask students to fill in the following table in the Student Booklet with their ideas about Romeo and Juliet in relation to any of these three Shakespearean genres. What do students know about Romeo and Juliet that makes it a tragedy? Can students think of anything about Romeo and Juliet that is comical or historical? They wed in shrift by counsel of a friar. Young Romeus climbs fair Juliet's bower by night. Three months he doth enjoy his chief delight. He payeth death to Tybalt for his hire. A banished man he 'scapes by secret flight. New marriage is offered to his wife. They bury her that sleeping yet hath life. Her husband hears the tidings of her death. Ask students for their comments about this text. Do they notice anything different about the plot (and in particular the play’s time frame) compared to Shakespeare’s later version? How might they explain this change from a dramatic point of view? Brooke’s complete poem can be read here: shakespeare-navigators.com/romeo/BrookeIndex. Ask students for their comments about this text. Students could research either of these two source texts in more detail, looking for examples of similarities and differences with Shakespeare’s version. Painter’s entire work can be read here: gutenberg.org/ebooks/34840. To what extent would the play be poorer without them? Ask students to discuss how the play might be different if Shakespeare decided – like Brooke – to present the behaviour of Romeo and Juliet in a more disapproving, negative way? What inspired and influenced Romeo and Juliet? Students think about what it would be like to watch a performance of Romeo and Juliet in Shakespeare’s time. Students should explain in their own words something about the play that would be exciting and something about the play that would be topical. They should also choose one more adjective of their own and justify that choice. The Italian settings of many of the stories in ‘The Palace of Pleasure’ inspired much Renaissance drama. Students could research this further, drawing links with other plays by Shakespeare and his contemporaries. The Key Stage 4 materials under Historical and Social Context contain a more detailed and in-depth comparison of Shakespeare with his source texts, including a direct comparison of extracts. Can I apply what I have learned in a creative task and ‘step into the shoes’ of someone visiting the theatre in Shakespeare’s time? Explain to students that over the next two lessons they are going to travel back in time to the 1590s, to one of the very first productions of Romeo and Juliet. London was by far the biggest town in England and an attractive place to young men like William Shakespeare, who arrived there to make his fortune some time between 1592 and 1594. Create a brainstorm from students’ prior knowledge and impressions of London at this time. Students should imagine that they are trying to sell tickets for Romeo and Juliet to passers-by on a rainy afternoon in the 1590s. How can they encourage people to come inside the theatre to see Romeo and Juliet? Students should devise publicity slogans and share them. If students have time, they could turn their slogans into printed handbills for homework. What would the atmosphere have been like on Bankside in this period? Can I imagine and describe what it would have been like to be an audience member at an early performance of Romeo and Juliet? Displayed on the whiteboard there could be a map of the Globe and a set of labels; this is included as the PowerPoint The Great Globe Itself (available in the Download section at the bottom of this page and in the Student Booklet). Students could work out where the labels should go. 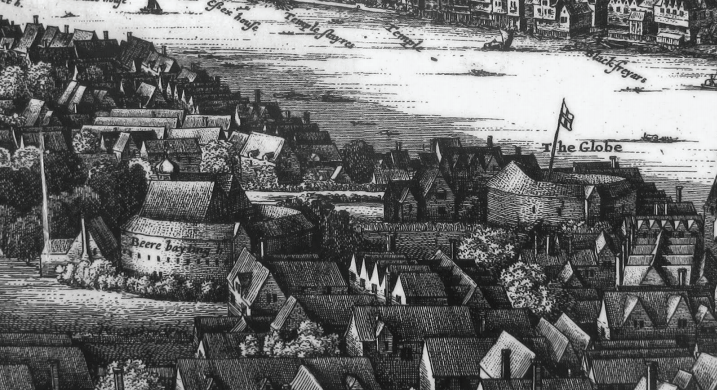 Remind students that they are going to visit a typical London theatre in the 1590s. What kind of person are they? How much money can they afford to spend on a seat? Where will they sit? Hear perspectives from different students in role. Ask students to make notes about their ‘character’. Ask students to imagine that they have bumped into a friend and that they are discussing their journeys to the theatre. Drawing on their research from the previous lesson, students could now form new ‘expert’ groups (representing all of the different topics covered). They should then prepare six tableaux images that show aspects of what their journey towards Shoreditch to watch Romeo and Juliet involved. Ask students to make notes on their planning sheet (in the Student Booklet). Students will be writing about going to see Romeo and Juliet in around 1595. Queen Elizabeth is the reigning monarch. We believe that Romeo and Juliet was a very popular play from its earliest performances. The Globe Theatre didn’t yet exist but early performances were probably staged at the Theatre and the Curtain in Shoreditch. Richard Burbage may have been the first actor to play Romeo. Juliet would have been played by a boy/young man, as would all female parts. The first actor to play Juliet might well have been the boy Robert Goffe. The part of Peter would have been played by Will Kemp, a celebrity actor in Elizabethan times known for his clowning and dancing. Students are going to write about visiting the theatre in Shakespeare’s time to watch a production of Romeo and Juliet. Students should now have lots of notes and can start to sequence their ideas using the suggested structure in the Student Booklet. Have I written effectively about the atmosphere at the theatre in Elizabethan times? Have I included textual details about Romeo and Juliet? Have I described my reactions to the play from the perspective of my ‘character’? Will Kemp was one of the star attractions of the Lord Chamberlain’s Men, although the part he played – Peter, the Capulets’ servant – does not have many lines in the script. Clowns often said more than the author wrote, improvising anew every performance. Will Kemp would also have dominated the jig that ended every play, a feature that was extremely popular with audiences. The imaginative writing (an account of a visit to see Romeo and Juliet) can be assessed for writing and also for reading.